The Voluntary Sector Review provides a unique space for this analysis. It presents the results of the latest academic research alongside discussions of new policy initiatives and contributions from practitioners commenting on practical developments within their own organisations and the sector more generally. When the Review was launched in 2010, the founding editors explained that ‘the journal will include contributions on definitional and theoretical debates; management and organisational developments; financial and human resources; philanthropy; volunteering and employment; regulation and charity law; service delivery; civic engagement; industry and sub-sector dimensions; relations with other sectors; social enterprise; and evaluation and impact’ (Peter Halfpenny et al., ‘Editorial’, Voluntary Sector Review, 1 (1), 3-4). The importance of all these issues is as great today as it was when these words were first written. In the six and a half years since its foundation, the journal has published ninety separate research articles, 63 policy and practice papers, three review articles and 42 book reviews. It has welcomed contributions from newcomers to the field as well as long-established pioneers and has covered a variety of different topics, ranging from government-charity relations (including a number of early articles on the much-fêted – and possibly ill-fated – ‘ Big Society’) to analyses of faith-based organisations, donor motivations, voluntary sector regulation and the expansion of social enterprises. 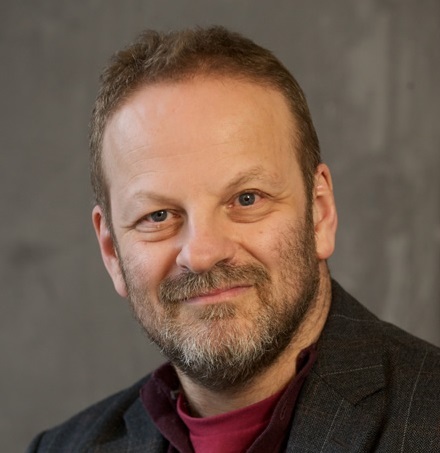 One of the journal’s greatest challenges has been the need to avoid the ‘trap’ of ‘assuming that the sector is necessarily always a “good thing”’. 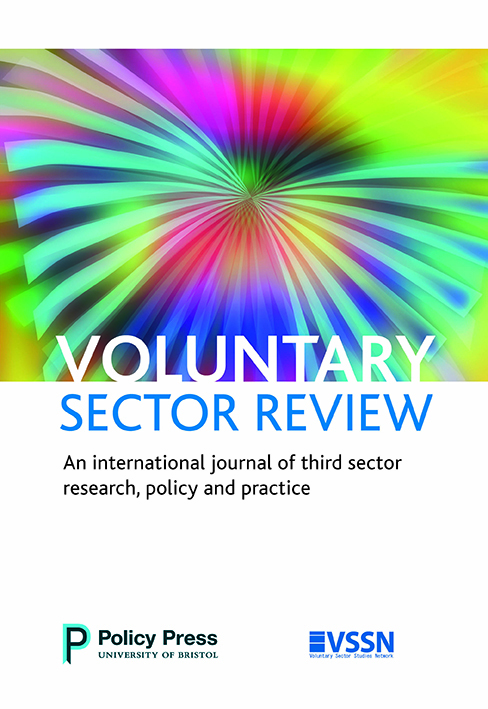 As the editors observed in 2011, ‘this trap is particularly difficult to avoid for those who are drawn to researching the sector because of their commitment to … it’ (Peter Halfpenny et al., ‘Editorial’, Voluntary Sector Review, 2 (1), 3-4). However, as the original editors also recognised, we can only perform our role as a ‘critical friend’ if this trap is overcome. Although the journal has covered a wide variety of topics since it started, it is clear that some issues have continued to receive rather more attention from our authors than others. At the end of 2014, the Editorial Management Board reviewed the range of topics which had been addressed in the journal over the years and noted a number of areas which had rarely been addressed. These included such issues as membership and local associations, black and ethnic minority voluntary organisations, the voluntary sector’s response to migration and its role in promoting social cohesion, gender issues relating to the voluntary sector, international non-governmental organisations (NGOs), and the impact on the sector of social media and other technologies. As we look forward to the journal’s next six years, we hope to see more researchers addressing these issues and publishing their findings in the Voluntary Sector Review. Don’t forget VSR is FREE to read for the whole 12 days of #VolunteersWeek so why not take a look here? Or if 12 days simply isn’t long enough (and we agree it probably isn’t!) why not click here to arrange a free institutional trial of the journal? Interested in submitting to the journal? Please do take a look at our ‘instructions for authors’ here and to find out more about the journal just click here.